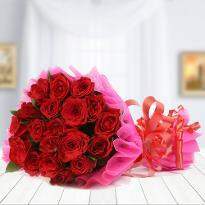 We at Winni deliver Online flowers which vary in size, shape, color, appearance such as roses, lilies, Orchids, carnations, gerberas. Amongst these rose is the one which is most preferred. 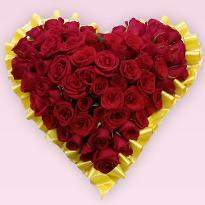 Valentine's day is half vacant if roses are not there so start placing your online orders as we are here to fulfill your desire. 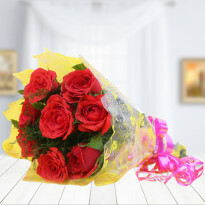 Our online flower delivery is adding warmth and happiness in every relationship. 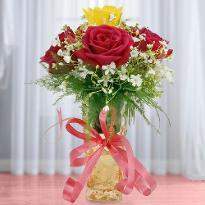 We provide special bouquets, alphabet shape arrangments, 2 tier arrangment of flowers and many more. 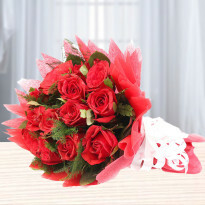 Our same day flower delivery can brighten up the day of your near and dear ones. 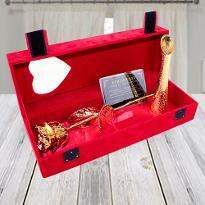 So, go ahead and place an order to win the heart of your near and dear ones. 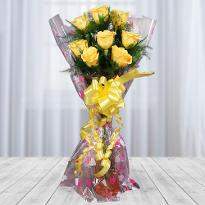 Flowers are the integral part of our life which add charm to our life. 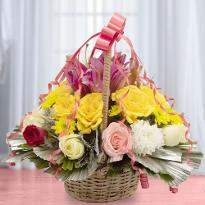 An everlasting beauty to a basket is flowers. Without flowers, it seems like something is vacant in one’s life. 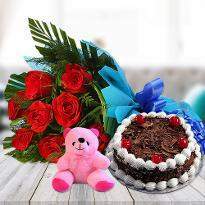 Valentine celebration without Valentine flowers is just like a garden without greenery. Flowers give us a road or way to connect people and life. 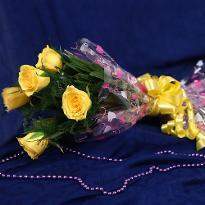 More of our relations are bonded together in a secure place if we keep on offering flowers to our close ones. 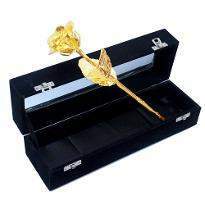 We can provide flowers with on various occasions which will promote the beauty and will glorify the occasions such as Wedding, birthdays, teachers day, anniversaries. 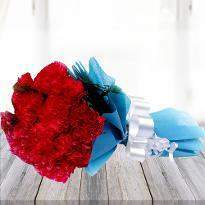 Flowers are a token of love which makes us satisfied. 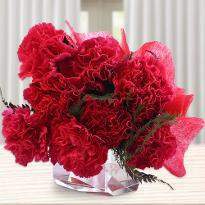 The most appealing aspect of flowers is its fragrance. 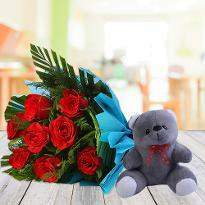 Online Valentine flowers in Jamshedpur is more concern when it comes to expressing the deepest emotions of the heart. Different varieties of flowers are hard to find in the local market. So here we have a solution for you, one can easily see an extensive exploration of flowers on our Site Winni. 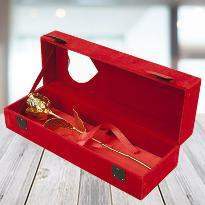 Just a single order from our site can change your decoration of wedding. 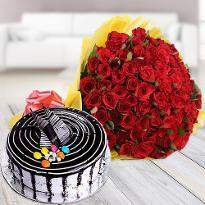 Wedding is the most extraordinary moment in one's life and comes once in a lifetime so people can cherish this moment in the best way by ordering a bouquet of flowers and a delicious cakes from Winni. 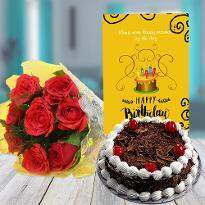 Winni provides Wedding flowers along with scruptious cakes in various shapes and flavor like black forest cake, butterscotch cake, red velvet cake, chocolate truffle cake, double chocolate cake etc. We deliver it on time with extreme care. 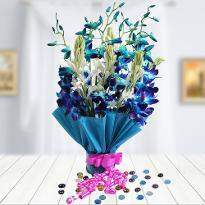 So start ordering wedding flowers online of your choice from Winni. 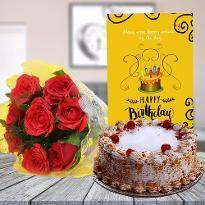 Birthday in Jamshedpur has become the most critical part of any celebration, so flowers are the best way to please someone on their birthday. 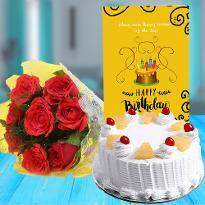 Decoration and the internal beauty of birthday walls are admired with flowers. 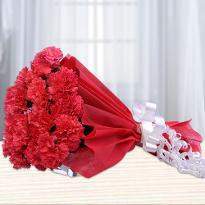 We at Winni deliver online flowers which vary in size, shape, color, appearance such as roses, lilies, Orchids, carnations, gerberas. Amongst these rose is the one which is most preferred. 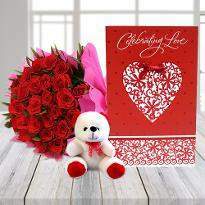 Valentine's day is half vacant if roses are not there so start placing your online orders as we are here to fulfill your desire. Our online delivery is done on the same day of placing an order.